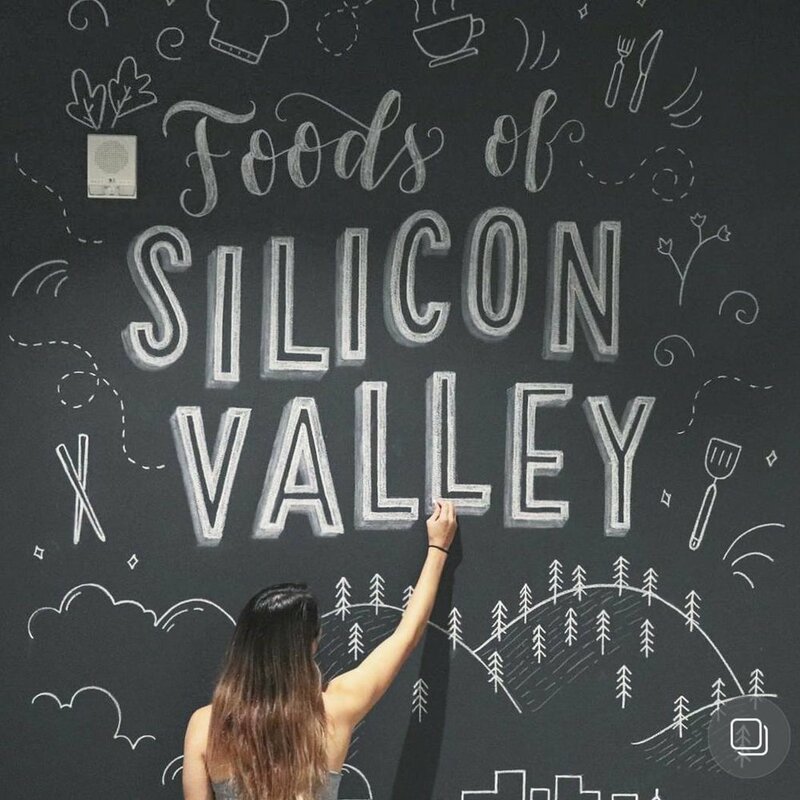 Custom chalk lettering for new walls surrounding cafeteria space in Google's office space in Sunnyvale, CA. 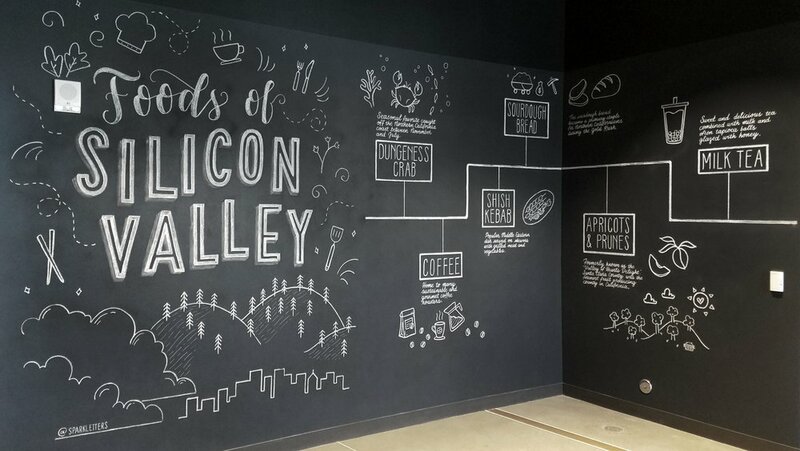 Mural celebrates Silicon Valley's native foods and cultural diversity. Illustrations embrace the valley's historical orchards and the fresh ingredients Google uses everyday to serve its employees.